Mythic Wonders: The Philosopher's Stone is rated 4.3 out of 5 by 29. Rated 5 out of 5 by gamefan10 from Loved everything about this game I played the SE version of the game. It's an amazing experience. You are taken to various settings, each one more extravagant than the ones before. The artwork is awesome and imaginative. You must collect all the pieces of the philosopher's stone, and each piece is in a different setting. Your uncle has been working with you, and now he's in trouble. Your job is to find him and help him to escape. If you run into problems, there is a hint button, along with a map which shows you where to go next. Most of the tasks are pretty typical, finding objects you can use, solving mini-games, etc. But there is a lot of creativity in how these are put together in this game. There is lots of travel between the scenes of each location, so unless you use the map, you must keep careful track of tasks waiting to be done and objects that are still needed. 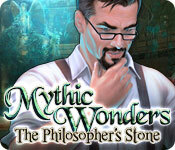 The Philosopher's Stone helps you solve problems in each location, and you also find new pieces to add to the stone. Each piece has a different power. I thoroughly enjoyed the game and highly recommend it. Rated 5 out of 5 by bishky from Really enjoyed this game!! I just finished this game and I loved it. It is well drawn and visually great. Sound is good. There are a few HOP's in this game and then there are the challenges that you must overcome to get to where you are going. It is fun, fun, fun. I was looking through the games the other day and saw this one and used one of my freebies to get it. I would have paid full price for this one. It takes a long time to play and well worth every minute. I hope you enjoy it as much as I did. Rated 5 out of 5 by Diana_Mc from Really Enjoyed It! This was a DD but one of the most enjoyable games I've played recently. I could do most of the puzzles which is a real plus. I really need the map and it's good. I did have to use the hint a few times. As to the story, well it's okay. I used to love HO scenes but the recent ones have found me randomly clicking. These were quite innovative. All in all quite an enjoyable game even if I did have to go to the walkthrough a couple of times. The artwork is amazing in places too. Rated 5 out of 5 by Lynx004 from Excellent Game This game had it all- great story line, challenging puzzles, excellent graphics... I can't wait for the next installment. My only criticism is that it was too short. Rated 5 out of 5 by hevensday from Beautiful Environments, artwork astounding The cover picture of this game does not give it justice. I have played 100s of hidden adventure games such as MCF, Enigmatis, Nightmares from the Deep,etc. Except for the story, it has everything that I want in a game. The artwork is detailed and exquisite beyond compare. There is no frustrating back and forth; except at the beginning, which isn't as pretty as further "worlds". In fact, when I first started the game, I didn't like it all that much. But as soon as I reached the earth world, I couldn't stop staring at the screen and looking at the beauty. My favorite was the water world. There are several worlds where you gather elements for a philosophers stone. The 1st is light, which I don't remember being impressed about. 2nd was earth with lots of water falls and plants. 3rd was water with beautiful, phosphorescent sea creatures. 4th was fire with lava and a lovely animated phoenix. 5th was air with sand, crystal, glass, and a fun ride through the sky. 6th was a spaceship that was more like the inside of the computer. There is much more I want to say about this game, and it is one I will want to play again. The story was not that great, but the puzzles and atmosphere were the best. Even the music was pretty. 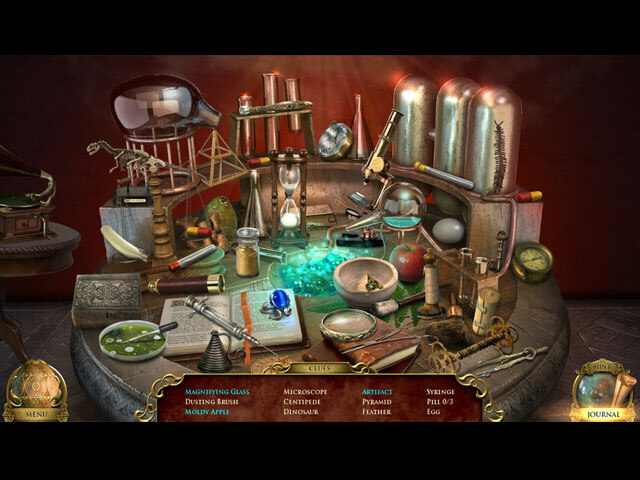 The hidden object scenes never repeated and the things you gathered in places made sense. For example, you wouldn't have to open a machine to obtain a tube of lipstick or something crazy like that. Someone put a great deal of effort into this game. I can't name a favorite game of all time since I have many favorites. But this one by far has the best visual quality of any HOG out there. Rated 5 out of 5 by denniann2 from i really liked this game i played with custom settings!!!! i like that games are coming out with this. you can set the length of recharge for skips and hints. all kinds of things. be sure to check it out. most mini games, again, are too had for me. it plays well. it has a journal and map (not interactive). i had to write some things down so i could reference them later. maybe i just didn't look at my journal enough. idk. your uncle has summoned you to help him with the philosopher stone. you need to find the different elements to reassemble it. you will be surprised about 3/4 of the way through. that is all i will say. Rated 5 out of 5 by roaming from Give This One a Try! For some reason, I didn't have much hope for this one initially, but I decided to give it a try anyway. I'm really glad I did! This is the most enjoyable game I've played in a long time, in spite of the fact that we have yet another woman going to rescue a man (her uncle) who's gotten himself in trouble. And yet... did he? There may have been a whisper of a hint that there's more to this story than we think. Finally! A game I can recommend with no qualifications. Rated 5 out of 5 by rosekaufmann from WONDERLAND OF DELIGHTS PROS: - Graphics are like walking into a wonderland. Bright, crystal clear, lovely detail. - Music, sound effects and voice overs are good. - Interactive map with objectives. - Journal with notes. - HOS are either list-based or images. Scenes are mildly crowded with very detailed objects. Some interactions. 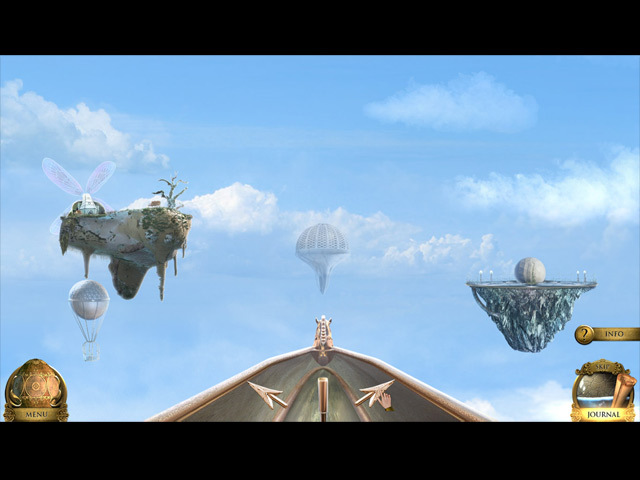 - Special effects are very good and help create the wonderland. 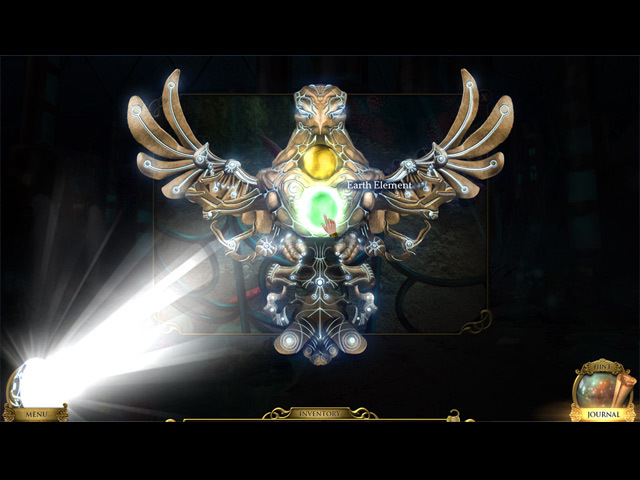 - Get an artifact which glows on casual mode when it can be used. - Good balance of HOS and puzzles. CONS: - Have to have all required elements to use them in puzzles. - Only 2 modes of difficulty. SUMMARY: Lovely adventure to look at and play. Interesting story (although it has basically been told before). Fun to play. Don't think the CE has enough to warrant the increased price. I recommend this game!